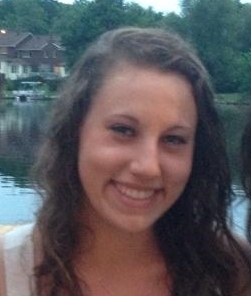 Guest blogger: Shayna Zack, Rosh Avodah, Camp Ramah in Canada. Avodah is the vocational education component of Ramah Canada’s Tikvah Program. Camp is seen as an escape for many campers and a way to leave their busy lives behind, but for Asher Brown it is also an opportunity for him to improve his social skills as well as his work skills. Asher is a great example of how the Avodah Program at camp benefits all of the campers involved. Asher has been a camper at Camp Ramah in Canada for six years and has been active participant of the Tikvah Avodah Program for the past two summers. On Thursday mornings, Asher can be found crafting with the residents of the retirement home in Bracebridge, as well as keeping them company. Throughout the rest of the week, Asher helps out all around camp and runs the lemonade stand on Fridays right before Shabbat services. At the lemonade stand he is responsible for getting to work on time, then pouring and serving drinks to campers. This can be a daunting task, as the lineups are often long and the campers are thirsty and impatient, but Asher gets it done with a smile on his face. He has graduated from working with a staff supervisor beside him, to serving on his own. Most campers would not be excited to work during the summer, but not Asher; even on days when he is not required to work, he is constantly asking what he can do to help out. Reminders are frequent and his concentration remains solely on the next time that he will be able to work again. Asher’s parents are also pleased with the new skills that Asher is developing at camp, and believe that this will give him a good head start for in the next phase of his life. Asher graduated from high school this past June and plans on attending a transition program where he will work on job and life skills during the year while continuing to be actively involved in the Avodah Program at camp during the summer. In the future, Asher hopes to apply all of the skills he has acquired throughout the years at camp and in his transition program and one day work in an airport. Funding from the Ruderman Family Foundation facilitated planning and discussion around new developments in vocational education programs at four Ramah camps this summer.